Last Saturday was IMBA’s Take a Kid Mountain Biking Day (#TKMBD). 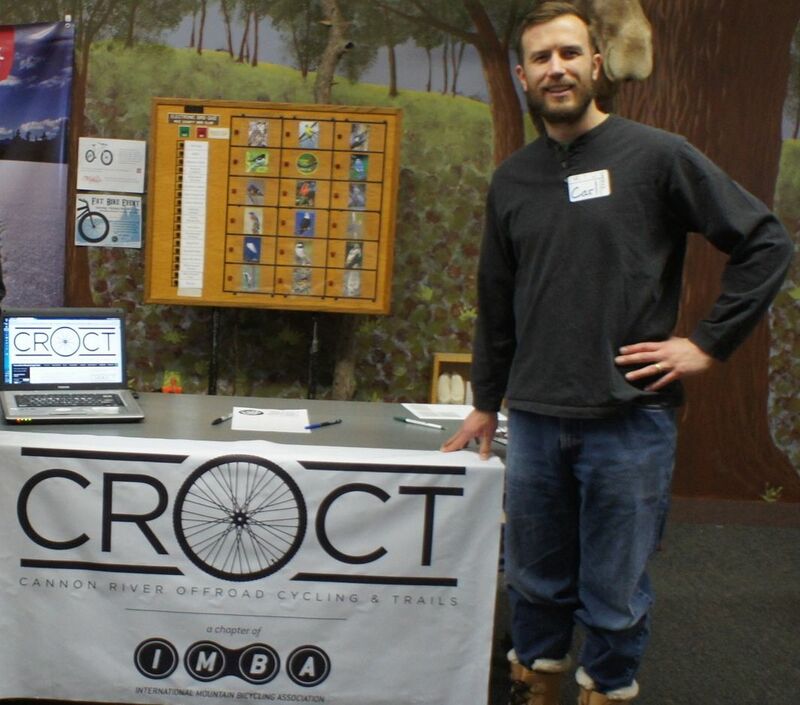 We got a late start on planning activities for it but rather than doing nothing, decided at almost the last minute to invite CROCT members to meet at MORC’s Lebanon Hills Mountain Bike Trail where Dakota County was hosting its annual Wild Ride Mountain Bike Festival. We had 5 kids and 4 adults show up and we all had a blast among the many hundreds of others who attended. We’ll be better organized for next year’s TKMBD! IMBA’s Take a Kid Mountain Biking Day (TKMBD) is October 3rd this year. 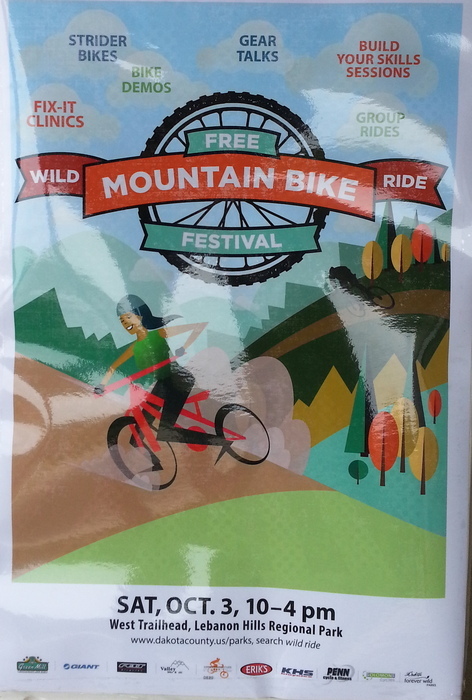 Join your fellow CROCT members with one or more of your kids and meet at 10 am on Saturday, Oct 3 at 10 am at MORC’s Lebanon Hills Mountain Bike Trail for Dakota County’s Wild Ride Mountain Bike Festival. Gather at the CROCT banner somewhere at the trailhead (maybe on the back of my clunker Camry). Look for me or Carl Arnold who hopefully won’t be wearing his snowboots. If you can’t find us, text/phone me: 507.319.5541. Confirm your plans to attend on the CROCT TKMBD event page. Ask questions there or contact us. More details on the schedule of events are available on the MORC/Leb Facebook Event page.